Welcome to the 2018 season of Tigers baseball, where mostly all you care about is rookies, prospects, and the rebuild process. At the time of this writing, the Tigers are currently getting routed by the Indians on the way to a 4-8 record, so let's forget about all of that and turn our attention to the minor leagues. 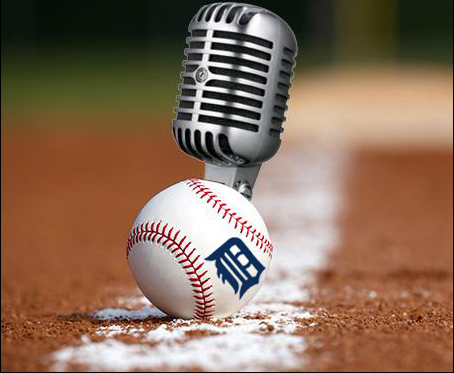 In this episode, HookSlide is joined by Dan Hasty (on Twitter at @ThatDanHasty), play-by-play announcer for the Tigers' Single A affiliate, the West Michigan Whitecaps. (Spoiler: this is where the Tigers keep all their true talent stashed away.) Dan Hasty recently had the privilege of going to Lakeland for Spring Training to fill in for Dan Dickerson in the booth, joining Jim Price to call a couple of Tigers games, and he shares the details of that experience in this program. Dan also shares his thoughts on how the Whitecaps are looking for the 2018 season (is a 6-1 start to the season good? ), what players on the roster are most likely to push on through to the major league level, what it means as a minor-league broadcaster to have the new rules in place for starting a runner at second base in all extra-inning games, and why Lance Parrish has taken over as the Whitecaps manager this year. - What's it like to call a game with Jim Price in the booth? - Is Daniel Norris ever going to tap into his potential? Be sure to send your thoughts, suggestions, and questions for our next show. We're on Twitter at @vottpodcast, and @hookslide23!